Thousands of people braved the cold weather to watch our annual fireworks display on Sunday evening and they weren’t left disappointed. 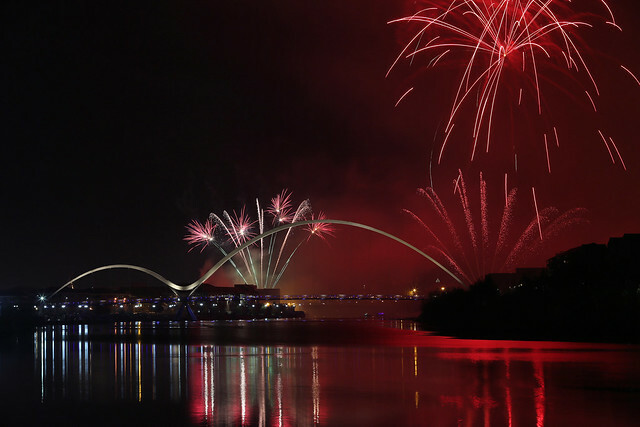 The free event, on Stockton’s Riverside, saw huge crowds turn out to enjoy the stunning display. The event began in style with a live BBC Tees roadshow hosted by presenters Neil Green and Amy Oakden and featured special guests including Paul Mooney and Pudsey Bear along with music performances from local bands, The Jar Family and boyband Trilogy. The theme of this year’s display was 'Epic Movie Songs’ and a spectacular display accompanied by songs from classic movies lit up the skies, featuring movie songs from classic films like Jaws, James Bond, Dirty Dancing, Harry Potter, Superman and ending with a colourful finale to the hit song ‘Let It Go’ from Disney’s ‘Frozen’. And don’t forget to tell us your highlights of this year’s display over on our Social Media channels.